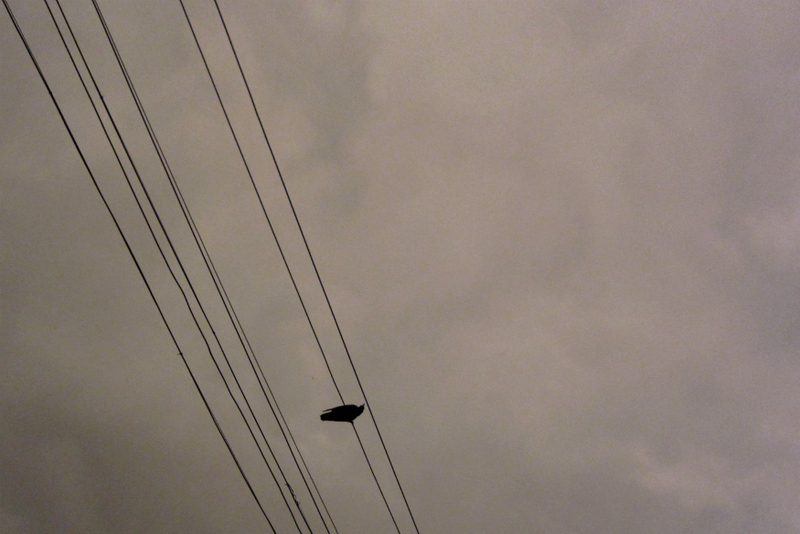 As i head home one evening, i saw this bird perched high up a wire, alone. And so i wondered - If you had the freedom to go anywhere, in a world without boundaries, where would you go? Would you choose to go alone? Come to think of it, are birds aware of their freedom, or are they confined to a much larger but invisible cage that makes them territorial? Just as a group of birds were about to join this one, the rains fell. Standing in the rain is an awesome experience, specially when the sky above is swelling with dark rain clouds. Not exactly the same when you've got a camera in hand, even though its only a point & shoot. Home was just around the corner. Spectacular show of light and sound that night. Kerala never disappoints.